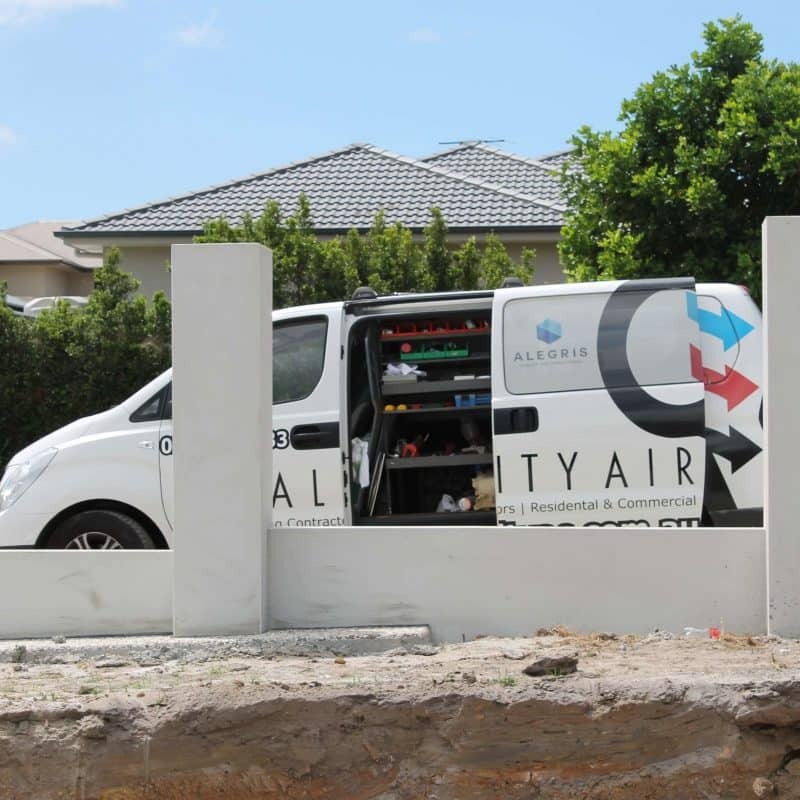 As true specialists in ducted heating and cooling systems in the Brisbane area, Quality Air is able to provide you with an unbiased opinion on the best cooling and heating solution for your home or office. By working with renowned air conditioner manufacturers, such as Fujitsu, LG, Panasonic, Actron Air, Mitsubishi and Daikin, we can design a system to suit your home or office within your budget parameters. Only working with trusted companies allows us to offer you full 5-year warranties on our installation and air conditioning equipment. When cooling or heating your home, ducted air conditioning gives you the control over which rooms and zones to be used. A maximum of 10 zones can be used to circulate air throughout your home. The two main components of a ducted air conditioning system are the outdoor condenser unit and the indoor fan coil unit pushes air throughout the house. These units are connected by two refrigerant lines. Why ducted heating and cooling? Ducted air conditioning gives us the ability to control the home or office climate through the use of adjusting temperature, air quality and airflow in warm or cold conditions. Mantainence is required simply to keep your system running efficiently over time. Clogged duct and dust build up in your system will lead to an impact on your air-breathing quality and your air conditioning power bill. 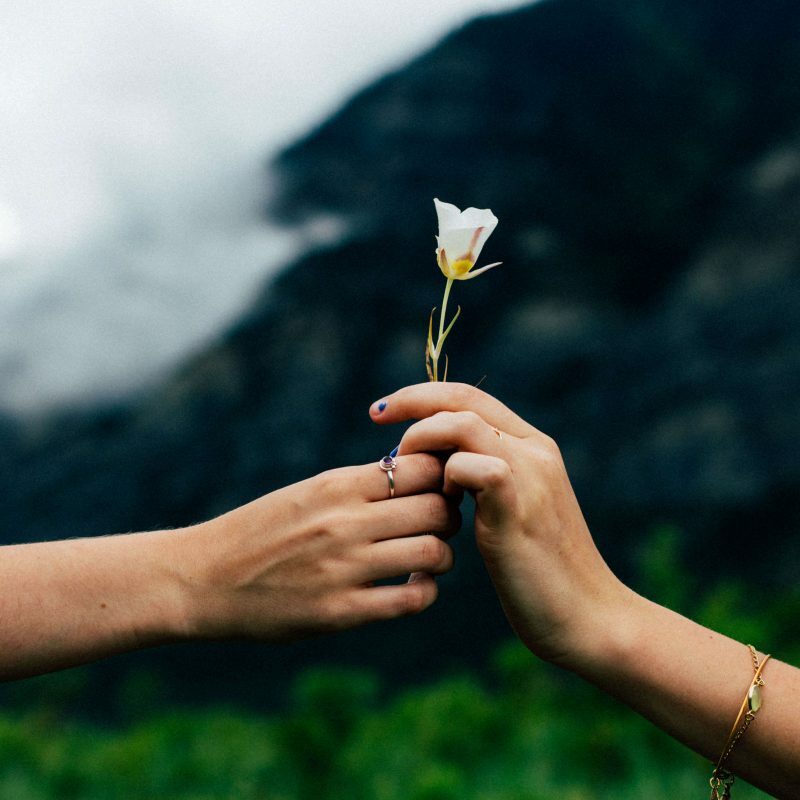 It’s in your best interests to maintain an annual service over the lifetime of your system as will effectively provide a long life-span for your AC unit. 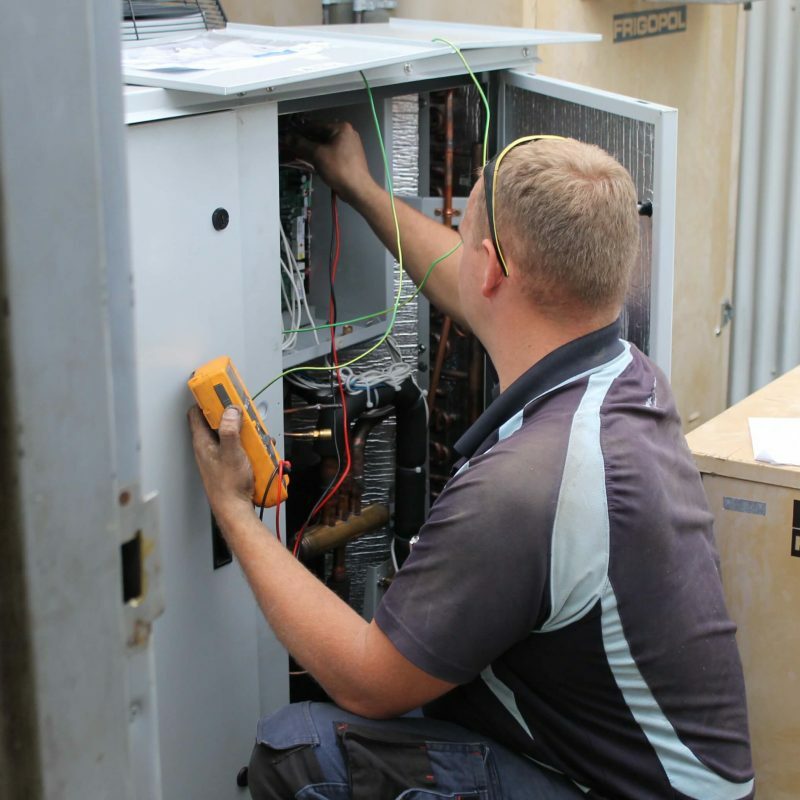 Although getting an annual service generally keep a system in good working order, sometimes external factors can cause damage that is out of anyone’s control. Electrical storm surges (fusion), rodents and pests or even tampering can lead to your system in need of repairs. Australian designed and built Actron Air provides award winning air conditioning systems. Using innovative technology, they deliver some of the most energy efficient systems available that also comes with a 5-year warranty. Advantage Air are well known for their strength and durability. Their systems use advance technology for a customised air flow, providing an energy efficient solution to your air conditioning needs. A leader in reverse cycle air conditioning, Daikin are dedicated to providing comfortable spaces where people live, work and relax. They are also the only air conditioning company with an Asthma Council acceptance. Some of the biggest, most innovative buildings are turning to Fujitsu for their air conditioning needs. This is down to their innovative style that offers design flexibility allowing for an efficient system. Dust, mould, bacteria and viruses can linger in the air around you indoors. Hypersan works to improve your indoor air quality with a high-tech approach that eliminates harmful particles. Boasting a wide range of products, LG is a well-known brand around the world thanks to their state-of-the-art products. Their air conditioning systems are no exception, with a range to suit all tastes. House temperature control is easily achieved through the use of ducted zoning and temperate sensors. This means optimum cooling and heating efficiency with one touch of a button. 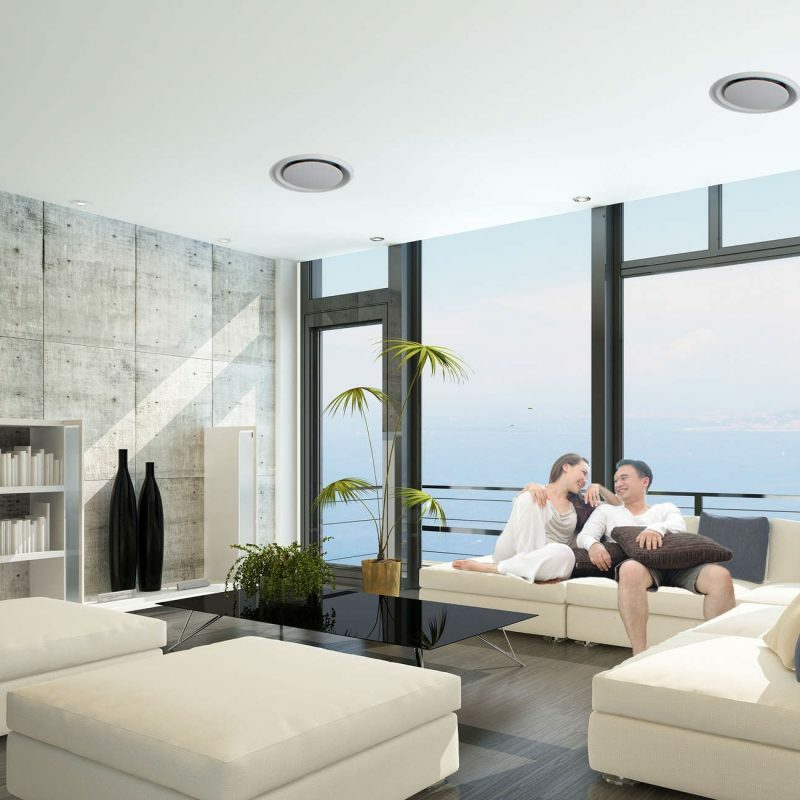 You can choose the airflow capacity to each room in the home or office with a multi-functioning zone system distributing warm air with up to 10 different zones. An efficient system is crucial to lowering power usage; using inverter technology has revolutionized how we use air conditioning. There is no longer reason to be afraid of air conditioning costs for the average household as these modern systems are extremely efficient and will quickly reach your desired temperature. Current zoning capabilities are also a convenient way to minimise power usage with vacant rooms not needing airflow, therefore that zoned area can simply be switched off. Check out the latest promotions and be set for any seasonal temperature changes this year. 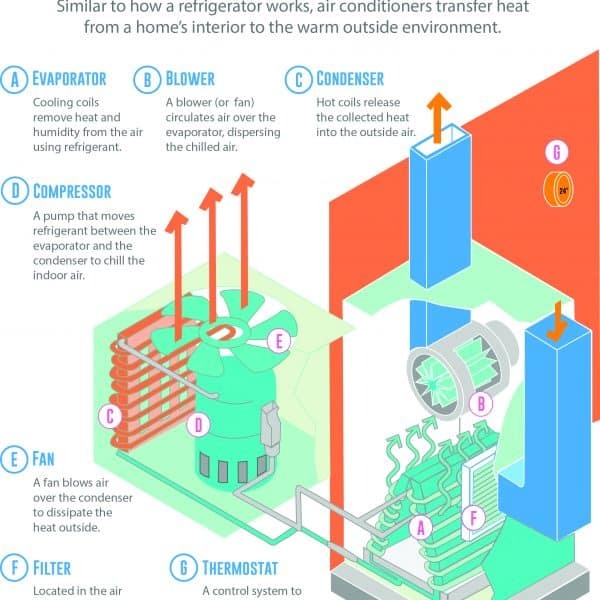 Do Some Ducted Air Conditioning Research!